Pratik Mukherjee, MD, PhD, is a Professor in Residence in the Department Radiology and Biomedical Imaging, Bioengineering, and he is an attending neuroradiologist at the University of California, San Francisco. He is the Director of the Center for Imaging of Neurodegenerative Disease (CIND) based at the San Francisco VA Medical Center. He also directs the Neural Connectivity Laboratory (NCL) at UCSF China Basin. Dr. Mukherjee received his PhD in Neuroscience from Rockefeller University, New York in 1994 and his MD from Cornell University, New York, in 1995. He completed his internship in Internal Medicine at New York Hospital - Cornell Medical Center, followed by a residency in Radiology and fellowship in Neuroradiology at Washington University Medical Center in St. Louis, Missouri, completed in 2002. Dr. Mukherjee’s primary clinical research is the study of neurodevelopmental disorders and traumatic brain injury (TBI) using advanced MRI. His research has been focused on technical development, neuroscience and clinical applications of advanced imaging methods for mapping structure and function of the human brain, especially diffusion MRI, which is a popular technique for assessing the development and integrity of white matter and for mapping axonal fiber pathways. 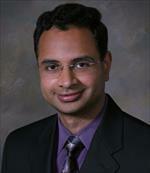 Dr. Mukherjee has served as Principal Investigator or Co-Principal Investigator for several NIH grants. His work has also been funded by grants from the Dept. of Defense, the Simons Foundation, McDonnell Foundation, Dana Foundation, Wallace Research Foundation, GE Healthcare and the GE-NFL Head Health Initiative. He has published over 80 peer-reviewed papers. Tavassoli T, Brandes-Aitken A, Chu R, Porter L, Schoen S, Miller LJ, Gerdes MR, Owen J, Mukherjee P, Marco EJ. Sensory over-responsivity: parent report, direct assessment measures, and neural architecture. Mol Autism. 2019; 10:4. Stein MB, Jain S, Giacino JT, Levin H, Dikmen S, Nelson LD, Vassar MJ, Okonkwo DO, Diaz-Arrastia R, Robertson CS, Mukherjee P, McCrea M, Mac Donald CL, Yue JK, Yuh E, Sun X, Campbell-Sills L, Temkin N, Manley GT. Risk of Posttraumatic Stress Disorder and Major Depression in Civilian Patients After Mild Traumatic Brain Injury: A TRACK-TBI Study. JAMA Psychiatry. 2019 Jan 30. Keenan KE, Biller JR, Delfino JG, Boss MA, Does MD, Evelhoch JL, Griswold MA, Gunter JL, Hinks RS, Hoffman SW, Kim G, Lattanzi R, Li X, Marinelli L, Metzger GJ, Mukherjee P, Nordstrom RJ, Peskin AP, Perez E, Russek SE, Sahiner B, Serkova N, Shukla-Dave A, Steckner M, Stupic KF, Wilmes LJ, Wu HH, Zhang H, Jackson EF, Sullivan DC. Recommendations towards standards for quantitative MRI (qMRI) and outstanding needs. J Magn Reson Imaging. 2019 Jan 24. Payabvash S, Palacios E, Owen JP, Wang MB, Tavassoli T, Gerdes MR, Brandes Aitken A, Cuneo D, Marco E, Mukherjee P. White Matter Connectome Edge Density in Children with Autism Spectrum Disorders: Potential Imaging Biomarkers Using Machine Learning Models. Brain Connect. 2019 Jan 19. Brandes-Aitken A, Anguera JA, Chang YS, Demopoulos C, Owen JP, Gazzaley A, Mukherjee P, Marco EJ. White Matter Microstructure Associations of Cognitive and Visuomotor Control in Children: A Sensory Processing Perspective. Front Integr Neurosci. 2018; 12:65. Shang Y, Hinkley LB, Cai C, Subramaniam K, Chang YS, Owen JP, Garrett C, Mizuiri D, Mukherjee P, Nagarajan SS, Cheung SW. Functional and Structural Brain Plasticity in Adult Onset Single-Sided Deafness. Front Hum Neurosci. 2018; 12:474. Shetty T, Nguyen JT, Cogsil T, Tsiouris AJ, Niogi SN, Kim EU, Dalal A, Halvorsen K, Cummings K, Zhang T, Masdeu JC, Mukherjee P, Marinelli L. Clinical Findings in a Multicenter MRI Study of Mild TBI. Front Neurol. 2018; 9:836. Madhavan R, Joel SE, Mullick R, Cogsil T, Niogi SN, Tsiouris AJ, Mukherjee P, Masdeu JC, Marinelli L, Shetty T. Longitudinal Resting State Functional Connectivity Predicts Clinical Outcome in Mild Traumatic Brain Injury. J Neurotrauma. 2018 Oct 03. Yue JK, Winkler EA, Puffer RC, Deng H, Phelps RRL, Wagle S, Morrissey MR, Rivera EJ, Runyon SJ, Vassar MJ, Taylor SR, Cnossen MC, Lingsma HF, Yuh EL, Mukherjee P, Schnyer DM, Puccio AM, Valadka AB, Okonkwo DO, Manley GT. Temporal lobe contusions on computed tomography are associated with impaired 6-month functional recovery after mild traumatic brain injury: a TRACK-TBI study. Neurol Res. 2018 Nov; 40(11):972-981. Korley FK, Yue JK, Wilson DH, Hrusovsky K, Diaz-Arrastia R, Ferguson AR, Yuh EL, Mukherjee P, Wang KKW, Valadka AB, Puccio AM, Okonkwo DO, Manley GT. Performance Evaluation of a Multiplex Assay for Simultaneous Detection of Four Clinically Relevant Traumatic Brain Injury Biomarkers. J Neurotrauma. 2018 Jul 23. Ngwenya LB, Gardner RC, Yue JK, Burke JF, Ferguson AR, Huang MC, Winkler EA, Pirracchio R, Satris GG, Yuh EL, Mukherjee P, Valadka AB, Okonkwo DO, Manley GT. Concordance of common data elements for assessment of subjective cognitive complaints after mild-traumatic brain injury: a TRACK-TBI Pilot Study. Brain Inj. 2018; 32(9):1071-1078. Seabury SA, Gaudette É, Goldman DP, Markowitz AJ, Brooks J, McCrea MA, Okonkwo DO, Manley GT, Adeoye O, Badjatia N, Boase K, Bodien Y, Bullock MR, Chesnut R, Corrigan JD, Crawford K, Diaz-Arrastia R, Dikmen S, Duhaime AC, Ellenbogen R, Feeser VR, Ferguson A, Foreman B, Gardner R, Giacino J, Gonzalez L, Gopinath S, Gullapalli R, Hemphill JC, Hotz G, Jain S, Korley F, Kramer J, Kreitzer N, Levin H, Lindsell C, Machamer J, Madden C, Martin A, McAllister T, Merchant R, Mukherjee P, Nelson L, Noel F, Palacios E, Perl D, Puccio A, Rabinowitz M, Robertson C, Rosand J, Sander A, Satris G, Schnyer D, Sherer M, Stein M, Taylor S, Temkin N, Toga A, Valadka A, Vassar M, Vespa P, Wang K, Yue J, Yuh E, Zafonte R. Assessment of Follow-up Care After Emergency Department Presentation for Mild Traumatic Brain Injury and Concussion: Results From the TRACK-TBI Study. JAMA Netw Open. 2018 May 18; 1(1):e180210. Ouyang M, Dubois J, Yu Q, Mukherjee P, Huang H. Delineation of early brain development from fetuses to infants with diffusion MRI and beyond. Neuroimage. 2019 01 15; 185:836-850. Caverzasi E, Mandelli ML, Hoeft F, Watson C, Meyer M, Allen IE, Papinutto N, Wang C, Gandini Wheeler-Kingshott CAM, Marco EJ, Mukherjee P, Miller ZA, Miller BL, Hendren R, Shapiro KA, Gorno-Tempini ML. Abnormal age-related cortical folding and neurite morphology in children with developmental dyslexia. Neuroimage Clin. 2018; 18:814-821. Yue JK, Rick JW, Morrissey MR, Taylor SR, Deng H, Suen CG, Vassar MJ, Cnossen MC, Lingsma HF, Yuh EL, Mukherjee P, Gardner RC, Valadka AB, Okonkwo DO, Cage TA, Manley GT. Preinjury employment status as a risk factor for symptomatology and disability in mild traumatic brain injury: A TRACK-TBI analysis. NeuroRehabilitation. 2018; 43(2):169-182. Rubenstein R, Chang B, Yue JK, Chiu A, Winkler EA, Puccio AM, Diaz-Arrastia R, Yuh EL, Mukherjee P, Valadka AB, Gordon WA, Okonkwo DO, Davies P, Agarwal S, Lin F, Sarkis G, Yadikar H, Yang Z, Manley GT, Wang KKW, Cooper SR, Dams-O'Connor K, Borrasso AJ, Inoue T, Maas AIR, Menon DK, Schnyer DM, Vassar MJ. Comparing Plasma Phospho Tau, Total Tau, and Phospho Tau-Total Tau Ratio as Acute and Chronic Traumatic Brain Injury Biomarkers. JAMA Neurol. 2017 Sep 01; 74(9):1063-1072. Owen JP, Bukshpun P, Pojman N, Thieu T, Chen Q, Lee J, D'Angelo D, Glenn OA, Hunter JV, Berman JI, Roberts TP, Buckner R, Nagarajan SS, Mukherjee P, Sherr EH. Brain MR Imaging Findings and Associated Outcomes in Carriers of the Reciprocal Copy Number Variation at 16p11.2. Radiology. 2018 01; 286(1):217-226. Yue JK, Ngwenya LB, Upadhyayula PS, Deng H, Winkler EA, Burke JF, Lee YM, Robinson CK, Ferguson AR, Lingsma HF, Cnossen MC, Pirracchio R, Korley FK, Vassar MJ, Yuh EL, Mukherjee P, Gordon WA, Valadka AB, Okonkwo DO, Manley GT. Emergency department blood alcohol level associates with injury factors and six-month outcome after uncomplicated mild traumatic brain injury. J Clin Neurosci. 2017 Nov; 45:293-298. Subramaniam K, Gill J, Fisher M, Mukherjee P, Nagarajan S, Vinogradov S. White matter microstructure predicts cognitive training-induced improvements in attention and executive functioning in schizophrenia. Schizophr Res. 2018 03; 193:276-283. Wang MB, Owen JP, Mukherjee P, Raj A. Brain network eigenmodes provide a robust and compact representation of the structural connectome in health and disease. PLoS Comput Biol. 2017 Jun; 13(6):e1005550. Nielson JL, Cooper SR, Yue JK, Sorani MD, Inoue T, Yuh EL, Mukherjee P, Petrossian TC, Paquette J, Lum PY, Carlsson GE, Vassar MJ, Lingsma HF, Gordon WA, Valadka AB, Okonkwo DO, Manley GT, Ferguson AR. Uncovering precision phenotype-biomarker associations in traumatic brain injury using topological data analysis. PLoS One. 2017; 12(3):e0169490. Palacios EM, Yuh EL, Chang YS, Yue JK, Schnyer DM, Okonkwo DO, Valadka AB, Gordon WA, Maas AIR, Vassar M, Manley GT, Mukherjee P. Resting-State Functional Connectivity Alterations Associated with Six-Month Outcomes in Mild Traumatic Brain Injury. J Neurotrauma. 2017 04 15; 34(8):1546-1557. Yue JK, Winkler EA, Sharma S, Vassar MJ, Ratcliff JJ, Korley FK, Seabury SA, Ferguson AR, Lingsma HF, Deng H, Meeuws S, Adeoye OM, Rick JW, Robinson CK, Duarte SM, Yuh EL, Mukherjee P, Dikmen SS, McAllister TW, Diaz-Arrastia R, Valadka AB, Gordon WA, Okonkwo DO, Manley GT. Temporal profile of care following mild traumatic brain injury: predictors of hospital admission, follow-up referral and six-month outcome. Brain Inj. 2017; 31(13-14):1820-1829. Owen JP, Wang MB, Mukherjee P. Periventricular White Matter Is a Nexus for Network Connectivity in the Human Brain. Brain Connect. 2016 09; 6(7):548-57. Yokoyama JS, Wang Y, Schork AJ, Thompson WK, Karch CM, Cruchaga C, McEvoy LK, Witoelar A, Chen CH, Holland D, Brewer JB, Franke A, Dillon WP, Wilson DM, Mukherjee P, Hess CP, Miller Z, Bonham LW, Shen J, Rabinovici GD, Rosen HJ, Miller BL, Hyman BT, Schellenberg GD, Karlsen TH, Andreassen OA, Dale AM, Desikan RS. Association Between Genetic Traits for Immune-Mediated Diseases and Alzheimer Disease. JAMA Neurol. 2016 06 01; 73(6):691-7. Chang YS, Owen JP, Pojman NJ, Thieu T, Bukshpun P, Wakahiro ML, Marco EJ, Berman JI, Spiro JE, Chung WK, Buckner RL, Roberts TP, Nagarajan SS, Sherr EH, Mukherjee P. Reciprocal white matter alterations due to 16p11.2 chromosomal deletions versus duplications. Hum Brain Mapp. 2016 08; 37(8):2833-48. Hinkley LB, Marco EJ, Brown EG, Bukshpun P, Gold J, Hill S, Findlay AM, Jeremy RJ, Wakahiro ML, Barkovich AJ, Mukherjee P, Sherr EH, Nagarajan SS. The Contribution of the Corpus Callosum to Language Lateralization. J Neurosci. 2016 Apr 20; 36(16):4522-33. Maruta J, Palacios EM, Zimmerman RD, Ghajar J, Mukherjee P. Chronic Post-Concussion Neurocognitive Deficits. I. Relationship with White Matter Integrity. Front Hum Neurosci. 2016; 10:35. Li Y, Jakary A, Gillung E, Eisendrath S, Nelson SJ, Mukherjee P, Luks T. Evaluating metabolites in patients with major depressive disorder who received mindfulness-based cognitive therapy and healthy controls using short echo MRSI at 7 Tesla. MAGMA. 2016 Jun; 29(3):523-33. Talbott JF, Nout-Lomas YS, Wendland MF, Mukherjee P, Huie JR, Hess CP, Mabray MC, Bresnahan JC, Beattie MS. Diffusion-Weighted Magnetic Resonance Imaging Characterization of White Matter Injury Produced by Axon-Sparing Demyelination and Severe Contusion Spinal Cord Injury in Rats. J Neurotrauma. 2016 05 15; 33(10):929-42. Wang KK, Yang Z, Yue JK, Zhang Z, Winkler EA, Puccio AM, Diaz-Arrastia R, Lingsma HF, Yuh EL, Mukherjee P, Valadka AB, Gordon WA, Okonkwo DO, Manley GT, Cooper SR, Dams-O'Connor K, Hricik AJ, Inoue T, Maas AI, Menon DK, Schnyer DM, Sinha TK, Vassar MJ. Plasma Anti-Glial Fibrillary Acidic Protein Autoantibody Levels during the Acute and Chronic Phases of Traumatic Brain Injury: A Transforming Research and Clinical Knowledge in Traumatic Brain Injury Pilot Study. J Neurotrauma. 2016 07 01; 33(13):1270-7. Chang YS, Gratiot M, Owen JP, Brandes-Aitken A, Desai SS, Hill SS, Arnett AB, Harris J, Marco EJ, Mukherjee P. White Matter Microstructure is Associated with Auditory and Tactile Processing in Children with and without Sensory Processing Disorder. Front Neuroanat. 2015; 9:169. D'Angelo D, Lebon S, Chen Q, Martin-Brevet S, Snyder LG, Hippolyte L, Hanson E, Maillard AM, Faucett WA, Macé A, Pain A, Bernier R, Chawner SJ, David A, Andrieux J, Aylward E, Baujat G, Caldeira I, Conus P, Ferrari C, Forzano F, Gérard M, Goin-Kochel RP, Grant E, Hunter JV, Isidor B, Jacquette A, Jønch AE, Keren B, Lacombe D, Le Caignec C, Martin CL, Männik K, Metspalu A, Mignot C, Mukherjee P, Owen MJ, Passeggeri M, Rooryck-Thambo C, Rosenfeld JA, Spence SJ, Steinman KJ, Tjernagel J, Van Haelst M, Shen Y, Draganski B, Sherr EH, Ledbetter DH, van den Bree MB, Beckmann JS, Spiro JE, Reymond A, Jacquemont S, Chung WK. Defining the Effect of the 16p11.2 Duplication on Cognition, Behavior, and Medical Comorbidities. JAMA Psychiatry. 2016 Jan; 73(1):20-30. Korley FK, Diaz-Arrastia R, Wu AH, Yue JK, Manley GT, Sair HI, Van Eyk J, Everett AD, Okonkwo DO, Valadka AB, Gordon WA, Maas AI, Mukherjee P, Yuh EL, Lingsma HF, Puccio AM, Schnyer DM. Circulating Brain-Derived Neurotrophic Factor Has Diagnostic and Prognostic Value in Traumatic Brain Injury. J Neurotrauma. 2016 Jan 15; 33(2):215-25. Berman JI, Chudnovskaya D, Blaskey L, Kuschner E, Mukherjee P, Buckner R, Nagarajan S, Chung WK, Spiro JE, Sherr EH, Roberts TP. Abnormal auditory and language pathways in children with 16p11.2 deletion. Neuroimage Clin. 2015; 9:50-7. Chang YS, Owen JP, Pojman NJ, Thieu T, Bukshpun P, Wakahiro ML, Berman JI, Roberts TP, Nagarajan SS, Sherr EH, Mukherjee P. White Matter Changes of Neurite Density and Fiber Orientation Dispersion during Human Brain Maturation. PLoS One. 2015; 10(6):e0123656. Friedman EJ, Landsberg AS, Owen J, Hsieh W, Kam L, Mukherjee P.. Edge Correlations in Spatial Networks. Journal of Complex Networks. 2015. Jenkins J, Chow V, Blaskey L, Kuschner E, Qasmieh S, Gaetz L, Edgar JC, Mukherjee P, Buckner R, Nagarajan SS, Chung WK, Spiro JE, Sherr EH, Berman JI, Roberts TP. Auditory Evoked M100 Response Latency is Delayed in Children with 16p11.2 Deletion but not 16p11.2 Duplication. Cereb Cortex. 2016 May; 26(5):1957-64. McMahon PJ, Panczykowski DM, Yue JK, Puccio AM, Inoue T, Sorani MD, Lingsma HF, Maas AI, Valadka AB, Yuh EL, Mukherjee P, Manley GT, Okonkwo DO. Measurement of the glial fibrillary acidic protein and its breakdown products GFAP-BDP biomarker for the detection of traumatic brain injury compared to computed tomography and magnetic resonance imaging. J Neurotrauma. 2015 Apr 15; 32(8):527-33. Owen JP, Chang YS, Mukherjee P. Edge density imaging: mapping the anatomic embedding of the structural connectome within the white matter of the human brain. Neuroimage. 2015 Apr 01; 109:402-17. Sorani MD, Yue JK, Sharma S, Manley GT, Ferguson AR. Genetic data sharing and privacy. Neuroinformatics. 2015 Jan; 13(1):1-6. Lingsma HF, Yue JK, Maas AI, Steyerberg EW, Manley GT. Outcome prediction after mild and complicated mild traumatic brain injury: external validation of existing models and identification of new predictors using the TRACK-TBI pilot study. J Neurotrauma. 2015 Jan 15; 32(2):83-94. Qureshi AY, Mueller S, Snyder AZ, Mukherjee P, Berman JI, Roberts TP, Nagarajan SS, Spiro JE, Chung WK, Sherr EH, Buckner RL. Opposing brain differences in 16p11.2 deletion and duplication carriers. J Neurosci. 2014 Aug 20; 34(34):11199-211. Chang YS, Owen JP, Desai SS, Hill SS, Arnett AB, Harris J, Marco EJ, Mukherjee P. Autism and sensory processing disorders: shared white matter disruption in sensory pathways but divergent connectivity in social-emotional pathways. PLoS One. 2014; 9(7):e103038. Friedman EJ, Landsberg AS, Owen JP, Li YO, Mukherjee P. Stochastic geometric network models for groups of functional and structural connectomes. Neuroimage. 2014 Nov 01; 101:473-84. Yuh EL, Cooper SR, Mukherjee P, Yue JK, Lingsma HF, Gordon WA, Valadka AB, Okonkwo DO, Schnyer DM, Vassar MJ, Maas AI, Manley GT. Diffusion tensor imaging for outcome prediction in mild traumatic brain injury: a TRACK-TBI study. J Neurotrauma. 2014 Sep 01; 31(17):1457-77. Owen JP, Chang YS, Pojman NJ, Bukshpun P, Wakahiro ML, Marco EJ, Berman JI, Spiro JE, Chung WK, Buckner RL, Roberts TP, Nagarajan SS, Sherr EH, Mukherjee P. Aberrant white matter microstructure in children with 16p11.2 deletions. J Neurosci. 2014 Apr 30; 34(18):6214-23. Owen JP, Li YO, Yang FG, Shetty C, Bukshpun P, Vora S, Wakahiro M, Hinkley LB, Nagarajan SS, Sherr EH, Mukherjee P. Resting-state networks and the functional connectome of the human brain in agenesis of the corpus callosum. Brain Connect. 2013; 3(6):547-62. McMahon P, Hricik A, Yue JK, Puccio AM, Inoue T, Lingsma HF, Beers SR, Gordon WA, Valadka AB, Manley GT, Okonkwo DO. Symptomatology and functional outcome in mild traumatic brain injury: results from the prospective TRACK-TBI study. J Neurotrauma. 2014 Jan 01; 31(1):26-33. Dams-O'Connor K, Spielman L, Singh A, Gordon WA, Lingsma HF, Maas AI, Manley GT, Mukherjee P, Okonkwo DO, Puccio AM, Schnyer DM, Valadka AB, Yue JK, Yuh EL. The impact of previous traumatic brain injury on health and functioning: a TRACK-TBI study. J Neurotrauma. 2013 Dec 15; 30(24):2014-20. Diaz-Arrastia R, Wang KK, Papa L, Sorani MD, Yue JK, Puccio AM, McMahon PJ, Inoue T, Yuh EL, Lingsma HF, Maas AI, Valadka AB, Okonkwo DO, Manley GT. Acute biomarkers of traumatic brain injury: relationship between plasma levels of ubiquitin C-terminal hydrolase-L1 and glial fibrillary acidic protein. J Neurotrauma. 2014 Jan 01; 31(1):19-25. Yue JK, Vassar MJ, Lingsma HF, Cooper SR, Okonkwo DO, Valadka AB, Gordon WA, Maas AI, Mukherjee P, Yuh EL, Puccio AM, Schnyer DM, Manley GT. Transforming research and clinical knowledge in traumatic brain injury pilot: multicenter implementation of the common data elements for traumatic brain injury. J Neurotrauma. 2013 Nov 15; 30(22):1831-44. Owen JP, Marco EJ, Desai S, Fourie E, Harris J, Hill SS, Arnett AB, Mukherjee P. Abnormal white matter microstructure in children with sensory processing disorders. Neuroimage Clin. 2013; 2:844-53. Tarapore PE, Findlay AM, Lahue SC, Lee H, Honma SM, Mizuiri D, Luks TL, Manley GT, Nagarajan SS, Mukherjee P. Resting state magnetoencephalography functional connectivity in traumatic brain injury. J Neurosurg. 2013 Jun; 118(6):1306-16. Xu D, Mukherjee P, Barkovich AJ. Pediatric brain injury: can DTI scalars predict functional outcome? Pediatr Radiol. 2013 Jan; 43(1):55-9. Owen JP, Ziv E, Bukshpun P, Pojman N, Wakahiro M, Berman JI, Roberts TP, Friedman EJ, Sherr EH, Mukherjee P. Test-retest reliability of computational network measurements derived from the structural connectome of the human brain. Brain Connect. 2013; 3(2):160-76. Owen JP, Li YO, Ziv E, Strominger Z, Gold J, Bukhpun P, Wakahiro M, Friedman EJ, Sherr EH, Mukherjee P. The structural connectome of the human brain in agenesis of the corpus callosum. Neuroimage. 2013 Apr 15; 70:340-55. Yuh EL, Mukherjee P, Lingsma HF, Yue JK, Ferguson AR, Gordon WA, Valadka AB, Schnyer DM, Okonkwo DO, Maas AI, Manley GT. Magnetic resonance imaging improves 3-month outcome prediction in mild traumatic brain injury. Ann Neurol. 2013 Feb; 73(2):224-35. Zufferey F, Sherr EH, Beckmann ND, Hanson E, Maillard AM, Hippolyte L, Macé A, Ferrari C, Kutalik Z, Andrieux J, Aylward E, Barker M, Bernier R, Bouquillon S, Conus P, Delobel B, Faucett WA, Goin-Kochel RP, Grant E, Harewood L, Hunter JV, Lebon S, Ledbetter DH, Martin CL, Männik K, Martinet D, Mukherjee P, Ramocki MB, Spence SJ, Steinman KJ, Tjernagel J, Spiro JE, Reymond A, Beckmann JS, Chung WK, Jacquemont S. A 600 kb deletion syndrome at 16p11.2 leads to energy imbalance and neuropsychiatric disorders. J Med Genet. 2012 Oct; 49(10):660-8. Hinkley LB, Marco EJ, Findlay AM, Honma S, Jeremy RJ, Strominger Z, Bukshpun P, Wakahiro M, Brown WS, Paul LK, Barkovich AJ, Mukherjee P, Nagarajan SS, Sherr EH. The role of corpus callosum development in functional connectivity and cognitive processing. PLoS One. 2012; 7(8):e39804. Li YO, Yang FG, Nguyen CT, Cooper SR, LaHue SC, Venugopal S, Mukherjee P. Independent component analysis of DTI reveals multivariate microstructural correlations of white matter in the human brain. Hum Brain Mapp. 2012 Jun; 33(6):1431-51. Hess CP, Mukherjee P, Barbaro NM. Epileptic foci. J Neurosurg. 2011 Jun; 114(6):1691-2; discussion 1692. Wahl M, Strominger ZA, Wakahiro M, Jeremy RJ, Mukherjee P, Sherr EH. Diffusion tensor imaging of Aicardi syndrome. Pediatr Neurol. 2010 Aug; 43(2):87-91. Raj A, Hess C, Mukherjee P. Spatial HARDI: improved visualization of complex white matter architecture with Bayesian spatial regularization. Neuroimage. 2011 Jan 01; 54(1):396-409. Niogi SN, Mukherjee P. Diffusion tensor imaging of mild traumatic brain injury. J Head Trauma Rehabil. 2010 Jul-Aug; 25(4):241-55. Maruta J, Suh M, Niogi SN, Mukherjee P, Ghajar J. Visual tracking synchronization as a metric for concussion screening. J Head Trauma Rehabil. 2010 Jul-Aug; 25(4):293-305. Wahl M, Li YO, Ng J, Lahue SC, Cooper SR, Sherr EH, Mukherjee P. Microstructural correlations of white matter tracts in the human brain. Neuroimage. 2010 Jun; 51(2):531-41. Niogi S, Mukherjee P, Ghajar J, McCandliss BD. Individual Differences in Distinct Components of Attention are Linked to Anatomical Variations in Distinct White Matter Tracts. Front Neuroanat. 2010; 4:2. Wahl M, Barkovich AJ, Mukherjee P. Diffusion imaging and tractography of congenital brain malformations. Pediatr Radiol. 2010 Jan; 40(1):59-67. Wahl M, Mukherjee P. Diffusion imaging of congenital brain malformations. Semin Pediatr Neurol. 2009 Sep; 16(3):111-9. Reeder SB, Mukherjee P. Clinical applications of MR diffusion and perfusion imaging: Preface. Magn Reson Imaging Clin N Am. 2009 May; 17(2):xi-xii. Van Boven RW, Harrington GS, Hackney DB, Ebel A, Gauger G, Bremner JD, D'Esposito M, Detre JA, Haacke EM, Jack CR, Jagust WJ, Le Bihan D, Mathis CA, Mueller S, Mukherjee P, Schuff N, Chen A, Weiner MW. Advances in neuroimaging of traumatic brain injury and posttraumatic stress disorder. J Rehabil Res Dev. 2009; 46(6):717-57. Niogi SN, Mukherjee P, Ghajar J, Johnson CE, Kolster R, Lee H, Suh M, Zimmerman RD, Manley GT, McCandliss BD. Structural dissociation of attentional control and memory in adults with and without mild traumatic brain injury. Brain. 2008 Dec; 131(Pt 12):3209-21.
von Morze C, Purcell DD, Banerjee S, Xu D, Mukherjee P, Kelley DA, Majumdar S, Vigneron DB. High-resolution intracranial MRA at 7T using autocalibrating parallel imaging: initial experience in vascular disease patients. Magn Reson Imaging. 2008 Dec; 26(10):1329-33. Mukherjee P, Chung SW, Berman JI, Hess CP, Henry RG. Diffusion tensor MR imaging and fiber tractography: technical considerations. AJNR Am J Neuroradiol. 2008 May; 29(5):843-52. Mukherjee P, Berman JI, Chung SW, Hess CP, Henry RG. Diffusion tensor MR imaging and fiber tractography: theoretic underpinnings. AJNR Am J Neuroradiol. 2008 Apr; 29(4):632-41. Rodriguez-Carranza CE, Mukherjee P, Vigneron D, Barkovich J, Studholme C. A framework for in vivo quantification of regional brain folding in premature neonates. Neuroimage. 2008 Jun; 41(2):462-78. Wang ZJ, Vigneron DB, Miller SP, Mukherjee P, Charlton NN, Lu Y, Barkovich AJ. Brain metabolite levels assessed by lactate-edited MR spectroscopy in premature neonates with and without pentobarbital sedation. AJNR Am J Neuroradiol. 2008 Apr; 29(4):798-801. Hess CP, Mukherjee P. Visualizing white matter pathways in the living human brain: diffusion tensor imaging and beyond. Neuroimaging Clin N Am. 2007 Nov; 17(4):407-26, vii. von Morze C, Xu D, Purcell DD, Hess CP, Mukherjee P, Saloner D, Kelley DA, Vigneron DB. Intracranial time-of-flight MR angiography at 7T with comparison to 3T. J Magn Reson Imaging. 2007 Oct; 26(4):900-4. Berman JI, Chung S, Mukherjee P, Hess CP, Han ET, Henry RG. Probabilistic streamline q-ball tractography using the residual bootstrap. Neuroimage. 2008 Jan 01; 39(1):215-22. Li J, Shivakumar S, Wakahiro M, Mukherjee P, Barkovich AJ, Slavotinek A, Sherr EH. Agenesis of the corpus callosum, optic coloboma, intractable seizures, craniofacial and skeletal dysmorphisms: an autosomal recessive disorder similar to Temtamy syndrome. Am J Med Genet A. 2007 Aug 15; 143A(16):1900-5. Mukherjee P, Hess CP, Xu D, Han ET, Kelley DA, Vigneron DB. Development and initial evaluation of 7-T q-ball imaging of the human brain. Magn Reson Imaging. 2008 Feb; 26(2):171-80. Paul LK, Brown WS, Adolphs R, Tyszka JM, Richards LJ, Mukherjee P, Sherr EH. Agenesis of the corpus callosum: genetic, developmental and functional aspects of connectivity. Nat Rev Neurosci. 2007 Apr; 8(4):287-99. Niogi SN, Mukherjee P, McCandliss BD. Diffusion tensor imaging segmentation of white matter structures using a Reproducible Objective Quantification Scheme (ROQS). Neuroimage. 2007 Mar; 35(1):166-74. Chen JS, Mukherjee P, Dillon WP, Wintermark M. Restricted diffusion in bilateral optic nerves and retinas as an indicator of venous ischemia caused by cavernous sinus thrombophlebitis. AJNR Am J Neuroradiol. 2006 Oct; 27(9):1815-6. Hess CP, Mukherjee P, Han ET, Xu D, Vigneron DB. Q-ball reconstruction of multimodal fiber orientations using the spherical harmonic basis. Magn Reson Med. 2006 Jul; 56(1):104-17. Partridge SC, Vigneron DB, Charlton NN, Berman JI, Henry RG, Mukherjee P, McQuillen PS, Karl TR, Barkovich AJ, Miller SP. Pyramidal tract maturation after brain injury in newborns with heart disease. Ann Neurol. 2006 Apr; 59(4):640-51. Barkovich AJ, Miller SP, Bartha A, Newton N, Hamrick SE, Mukherjee P, Glenn OA, Xu D, Partridge JC, Ferriero DM, Vigneron DB. MR imaging, MR spectroscopy, and diffusion tensor imaging of sequential studies in neonates with encephalopathy. AJNR Am J Neuroradiol. 2006 Mar; 27(3):533-47. Mukherjee P, McKinstry RC. Diffusion tensor imaging and tractography of human brain development. Neuroimaging Clin N Am. 2006 Feb; 16(1):19-43, vii. Rodriguez-Carranza C, Mukherjee P, Vigneron D, Barkovich J, Studholme C. A system for measuring regional surface folding of the neonatal brain from MRI. Med Image Comput Comput Assist Interv. 2006; 9(Pt 2):201-8. Miller SP, Ferriero DM, Leonard C, Piecuch R, Glidden DV, Partridge JC, Perez M, Mukherjee P, Vigneron DB, Barkovich AJ. Early brain injury in premature newborns detected with magnetic resonance imaging is associated with adverse early neurodevelopmental outcome. J Pediatr. 2005 Nov; 147(5):609-16. Berman JI, Mukherjee P, Partridge SC, Miller SP, Ferriero DM, Barkovich AJ, Vigneron DB, Henry RG. Quantitative diffusion tensor MRI fiber tractography of sensorimotor white matter development in premature infants. Neuroimage. 2005 Oct 01; 27(4):862-71. Partridge SC, Mukherjee P, Berman JI, Henry RG, Miller SP, Lu Y, Glenn OA, Ferriero DM, Barkovich AJ, Vigneron DB. Tractography-based quantitation of diffusion tensor imaging parameters in white matter tracts of preterm newborns. J Magn Reson Imaging. 2005 Oct; 22(4):467-74. Deipolyi AR, Mukherjee P, Gill K, Henry RG, Partridge SC, Veeraraghavan S, Jin H, Lu Y, Miller SP, Ferriero DM, Vigneron DB, Barkovich AJ. Comparing microstructural and macrostructural development of the cerebral cortex in premature newborns: diffusion tensor imaging versus cortical gyration. Neuroimage. 2005 Sep; 27(3):579-86. Mukherjee P. Diffusion tensor imaging and fiber tractography in acute stroke. Neuroimaging Clin N Am. 2005 Aug; 15(3):655-65, xii. Le TH, Mukherjee P, Henry RG, Berman JI, Ware M, Manley GT. Diffusion Tensor Imaging with Three-dimensional Fiber Tractography of Traumatic Axonal Shearing Injury: An Imaging Correlate for the Posterior Callosal "Disconnection" Syndrome: Case Report. Neurosurgery. 2005 Jan 01; 56(1):E195-E201. Le TH, Mukherjee P, Henry RG, Berman JI, Ware M, Manley GT. Diffusion tensor imaging with three-dimensional fiber tractography of traumatic axonal shearing injury: an imaging correlate for the posterior callosal "disconnection" syndrome: case report. Neurosurgery. 2005; 56(1):189. Ojemann JG, McKinstry RC, Mukherjee P, Park TS, Burton H. Hand somatosensory cortex activity following selective dorsal rhizotomy: report of three cases with fMRI. Childs Nerv Syst. 2005 Feb; 21(2):115-21. Partridge SC, Mukherjee P, Henry RG, Miller SP, Berman JI, Jin H, Lu Y, Glenn OA, Ferriero DM, Barkovich AJ, Vigneron DB. Diffusion tensor imaging: serial quantitation of white matter tract maturity in premature newborns. Neuroimage. 2004 Jul; 22(3):1302-14. Berman JI, Berger MS, Mukherjee P, Henry RG. Diffusion-tensor imaging-guided tracking of fibers of the pyramidal tract combined with intraoperative cortical stimulation mapping in patients with gliomas. J Neurosurg. 2004 Jul; 101(1):66-72. Maas LC, Mukherjee P, Carballido-Gamio J, Veeraraghavan S, Miller SP, Partridge SC, Henry RG, Barkovich AJ, Vigneron DB. Early laminar organization of the human cerebrum demonstrated with diffusion tensor imaging in extremely premature infants. Neuroimage. 2004 Jul; 22(3):1134-40. Xu D, Henry RG, Mukherjee P, Carvajal L, Miller SP, Barkovich AJ, Vigneron DB. Single-shot fast spin-echo diffusion tensor imaging of the brain and spine with head and phased array coils at 1.5 T and 3.0 T. Magn Reson Imaging. 2004 Jul; 22(6):751-9. Wintermark M, Fischbein NJ, Mukherjee P, Yuh EL, Dillon WP. Unilateral putaminal CT, MR, and diffusion abnormalities secondary to nonketotic hyperglycemia in the setting of acute neurologic symptoms mimicking stroke. AJNR Am J Neuroradiol. 2004 Jun-Jul; 25(6):975-6. Nakamura K, Mukherjee P, Swanson RA. Vitamin B12 deficiency. Arch Neurol. 2004 Jun; 61(6):960. Henry RG, Berman JI, Nagarajan SS, Mukherjee P, Berger MS. Subcortical pathways serving cortical language sites: initial experience with diffusion tensor imaging fiber tracking combined with intraoperative language mapping. Neuroimage. 2004 Feb; 21(2):616-22. Mazumdar A, Mukherjee P, Miller JH, Malde H, McKinstry RC. Diffusion-weighted imaging of acute corticospinal tract injury preceding Wallerian degeneration in the maturing human brain. AJNR Am J Neuroradiol. 2003 Jun-Jul; 24(6):1057-66. Mukherjee P, Kang HC, Videen TO, McKinstry RC, Powers WJ, Derdeyn CP. Measurement of cerebral blood flow in chronic carotid occlusive disease: comparison of dynamic susceptibility contrast perfusion MR imaging with positron emission tomography. AJNR Am J Neuroradiol. 2003 May; 24(5):862-71. Miller JH, McKinstry RC, Philip JV, Mukherjee P, Neil JJ. Diffusion-tensor MR imaging of normal brain maturation: a guide to structural development and myelination. AJR Am J Roentgenol. 2003 Mar; 180(3):851-9. Neil J, Miller J, Mukherjee P, Hüppi PS. Diffusion tensor imaging of normal and injured developing human brain - a technical review. NMR Biomed. 2002 Nov-Dec; 15(7-8):543-52. Mukherjee P, Miller JH, Shimony JS, Philip JV, Nehra D, Snyder AZ, Conturo TE, Neil JJ, McKinstry RC. Diffusion-tensor MR imaging of gray and white matter development during normal human brain maturation. AJNR Am J Neuroradiol. 2002 Oct; 23(9):1445-56. Mukherjee P, Miller JH, Shimony JS, Conturo TE, Lee BC, Almli CR, McKinstry RC. Normal brain maturation during childhood: developmental trends characterized with diffusion-tensor MR imaging. Radiology. 2001 Nov; 221(2):349-58. Gauvain KM, McKinstry RC, Mukherjee P, Perry A, Neil JJ, Kaufman BA, Hayashi RJ. Evaluating pediatric brain tumor cellularity with diffusion-tensor imaging. AJR Am J Roentgenol. 2001 Aug; 177(2):449-54. Mukherjee P, McKinstry RC. Reversible posterior leukoencephalopathy syndrome: evaluation with diffusion-tensor MR imaging. Radiology. 2001 Jun; 219(3):756-65. Mukherjee P, Bahn MM, McKinstry RC, Shimony JS, Cull TS, Akbudak E, Snyder AZ, Conturo TE. Differences between gray matter and white matter water diffusion in stroke: diffusion-tensor MR imaging in 12 patients. Radiology. 2000 Apr; 215(1):211-20. Lin W, Mukherjee P, An H, Yu Y, Wang Y, Vo K, Lee B, Kido D, Haacke EM. Improving high-resolution MR bold venographic imaging using a T1 reducing contrast agent. J Magn Reson Imaging. 1999 Aug; 10(2):118-23. Lee BC, Vo KD, Kido DK, Mukherjee P, Reichenbach J, Lin W, Yoon MS, Haacke M. MR high-resolution blood oxygenation level-dependent venography of occult (low-flow) vascular lesions. AJNR Am J Neuroradiol. 1999 Aug; 20(7):1239-42. Mukherjee P, Kaplan E. The maintained discharge of neurons in the cat lateral geniculate nucleus: spectral analysis and computational modeling. Vis Neurosci. 1998 May-Jun; 15(3):529-39. Levine MW, Cleland BG, Mukherjee P, Kaplan E. Tailoring of variability in the lateral geniculate nucleus of the cat. Biol Cybern. 1996 Sep; 75(3):219-27. Mukherjee P, Kaplan E. Dynamics of neurons in the cat lateral geniculate nucleus: in vivo electrophysiology and computational modeling. J Neurophysiol. 1995 Sep; 74(3):1222-43. What Can MRI Tell Us About the Brain? Team Receives Presidential BRAIN Initiative Grant to Revolutionize MRI Technology!